Vauxhall Grandland X Performance, Engine, Ride, Handling | What Car? The technology shared between the Grandland X and Peugeot 3008 includes their engines: a turbocharged 1.2-litre petrol, a 1.5-litre diesel and a range-topping 2.0-litre diesel. You might expect the petrol to struggle given its small size, but it produces a respectable 128bhp and feels eager to rev. That said, it's ultimately not that nippy; the less powerful Skoda Karoq 1.0 TSI 115 managed a slightly quicker 0-60mph dash in our tests. The 128bhp 1.5 diesel accelerates briskly from fairly low down in the rev range and accelerates you to motorway speeds briskly enough. It runs out of puff quickly when driven hard, though, and you’ll be changing through the gears quickly. The 2.0 diesel is, unsurprisingly, the most powerful engine in the Grandland X range, but never feels as fast as you might imagine. Granted, its plentiful shove comes in handy in hilly areas, but the standard eight-speed automatic gearbox is far too eager to change down a gear when you just want to accelerate briskly but smoothly, which quickly becomes frustrating. We reckon most buyers will be better off with the petrol which, like the 1.5-litre diesel, comes with a six-speed manual gearbox as standard. An automatic gearbox is optional – six-speed for the petrol and eight-speed with the 1.5-litre diesel. The ride isn’t as forgiving of poor road surfaces as a Nissan Qashqai’s but, on the whole, it isn't too bad. It certainly takes the edge off bumps and expansion joints that the firmer-riding Seat Ateca would thud over. 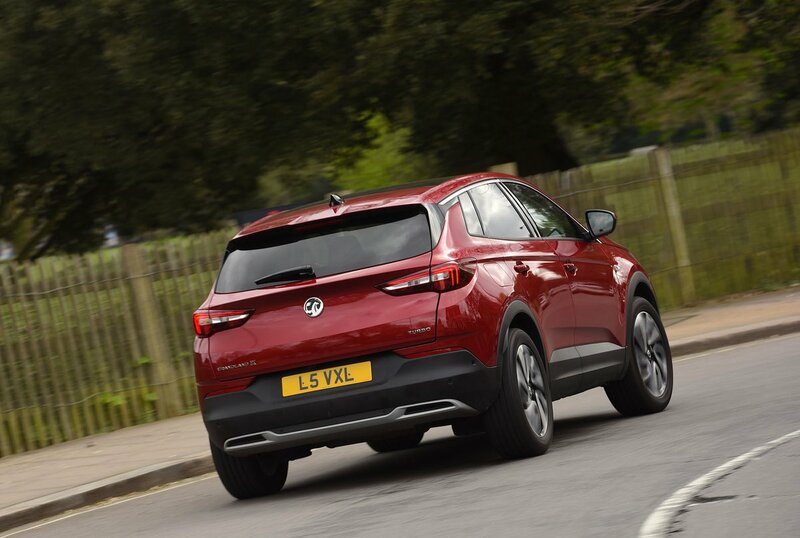 The side-effect of its comparative softness is that the Grandland X’s body can move around a fair bit over undulating roads, and the consistent bobbing that results tends to jostle you and your passengers around. However, it’s something you’ll be aware of rather than overly annoyed by. 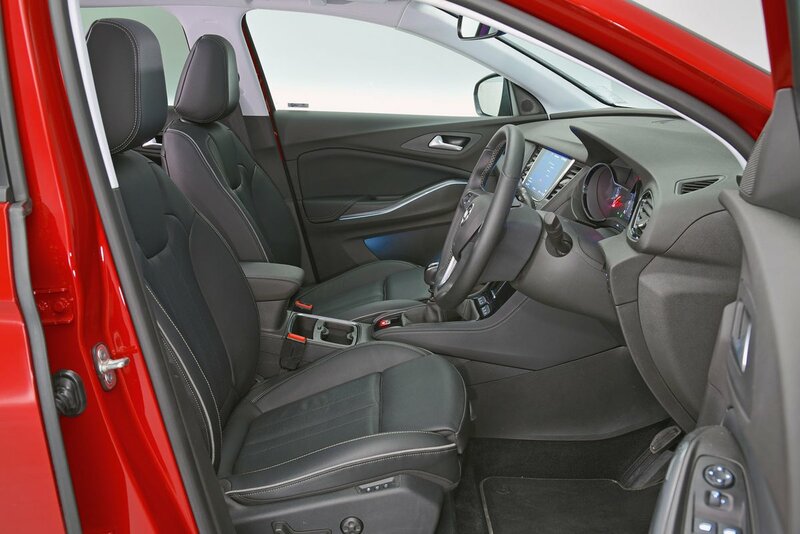 Ride comfort in the Peugeot 3008 is negatively affected when you specify the grip control package – its contents include a set of stiffer all-weather tyres. We expect the story to be similar on the Grandland X. Those in search of a smooth ride would also be wise to avoid the chunky 19in alloy wheels that are fitted to the posher trim levels. 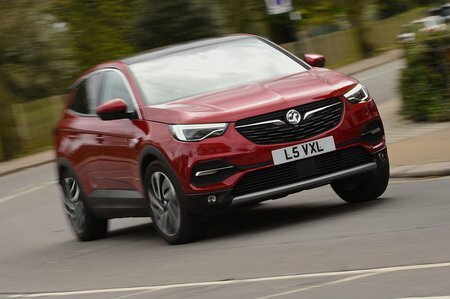 Despite fairly soft suspension, the Grandland X's body doesn’t sway about too much through bends, but there is a noticeable amount of nose-dive under braking and the opposite sensation under hard acceleration. The steering feels a little vague around the straight-ahead, which leads to a rather dead feel on the motorway, but once you get past the first few degrees the car starts to change direction quite quickly. That inconsistency can take a while to acclimatise to; in a Seat Ateca, for example, the steering is more progressive and feels more intuitive. Put simply, if driving pleasure is a high priority, you should definitely try the Ateca before buying. The three-cylinder petrol thrums away when you rev it, but not in an unpleasant fashion. It also sends quite a few vibrations through the pedals and gearlever at certain engine speeds, and while the diesel is quieter overall, you’ll still know it’s there, especially at higher revs. From about 50mph upwards, you have to put up with some wind noise emanating from around the door mirrors and, on coarse surfaces, a degree of road noise, too. It’s not overwhelmingly loud, but the Nissan Qashqai is noticeably quieter. Similarly, while the gearshift is far from obstructive, the lever doesn’t snick through its gate with the precision that the Ateca’s does.